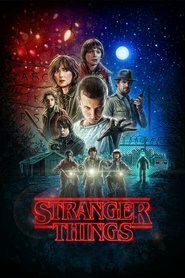 Overview... a 12-year-old trapped in another dimension, so close yet so far to his modest ranch-style house in Hawkins, Indiana. Will was biking home from playing Dungeons & Dragons with his best friends Mike, Dustin, and Lucas when he came across a strange, scary creature that didn’t have a face. Will disappears, yet is somehow able to communicate with his mom, Joyce, by manipulating electrical currents in their home. (Not that anyone believes Joyce.) The mystery deepens when Will’s friends meet a strange, nearly mute girl named Eleven who has telekinetic powers. Maybe she can help them unravel the mystery and get Will home safe. Personality... optimistic, clever, and creative. Will hasn’t had an easy life ­– his dad Lonnie left the family when he was young – but you wouldn’t know it by how cheerful he is. He’s a talented artist who has also picked up a love of music (especially The Clash) from his older brother, Jonathan. It’s no surprise that the town rallies together to help find Will, and that his friends won’t stop the search even when others tell them it’s hopeless. Will is an easy kid to root for. Will Byers's popularity ranking on CharacTour is #811 out of 5,000+ characters. See our top-ranked characters and read their profiles.